Portable Toilets Kirkland Lake | Home | B&R Enviro Services Inc. Rent portable toilets for your work site, have your septic tank pumped, and much more. We provide portable toilet rentals for your work site or big event. Do You Need Roll Off Bins? We have roll off bins available to rent for long-term or short-term projects. 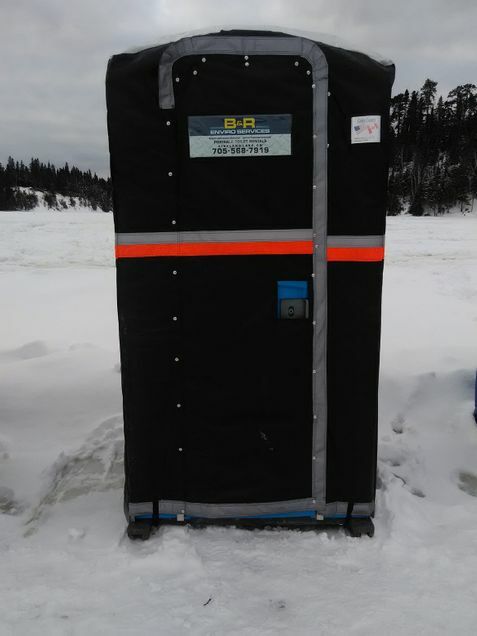 Rent Roll Off Bins, Portable Toilets, and More from Kirkland Lake’s B&R Enviro Services Inc.
For more than 10 years, we have been dedicated to our community, providing dedicated service and tenacious workmanship to the area around where we live. Whether you need a roll-off bin in Earlton or a portable toilet in Ramore/Holtyre, B&R Enviro Services Inc. can be there for you. The Kirkland Lake area is our home and we are passionate about it. One portable toilet can accommodate up to 50 people for 8 hours. Contact us to request 1-day rentals or even for a week or a month. Collect large amounts of trash and debris in one place with our roll off bins. We provide delivery and pick-up of our roll off disposal bins, and they come in a range of sizes from 15 cubic yards to 40 cubic yards. Let us know what you need! We are available Monday to Friday and for emergencies on evenings and weekends.